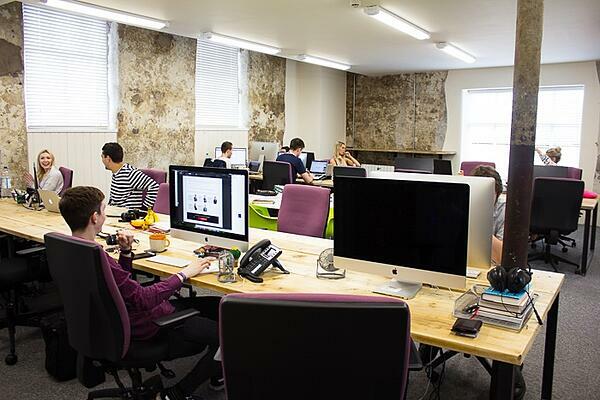 As Digital 22 continues to expand, we're thrilled to announce five new members to our team. We'd like to welcome and introduce to you Joe, Ryan, Dale, Melanie and Matt. Read on to find out more about them, their job roles and how they can help you. 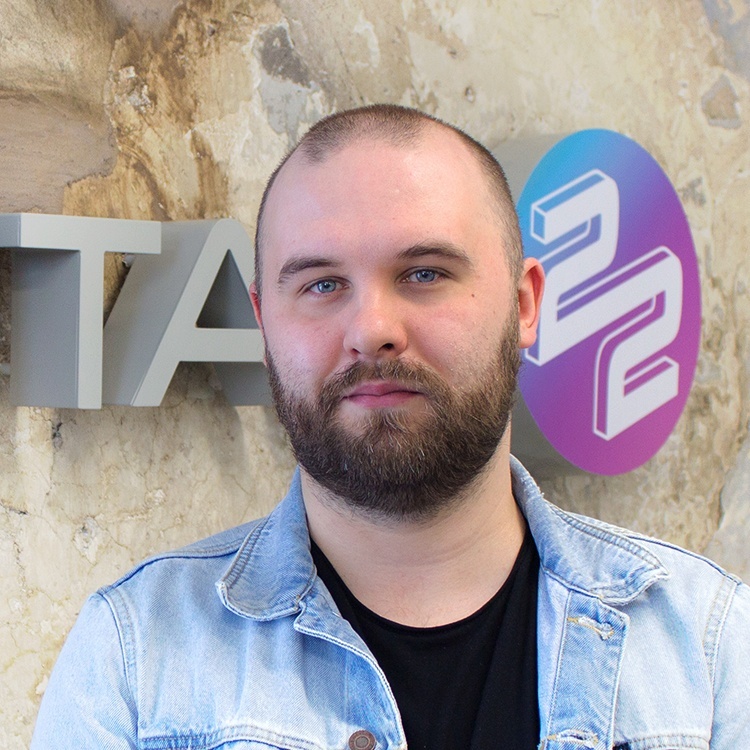 Joe joins our design team with an illustration and print design background, having worked freelance and also for various agencies over the years. 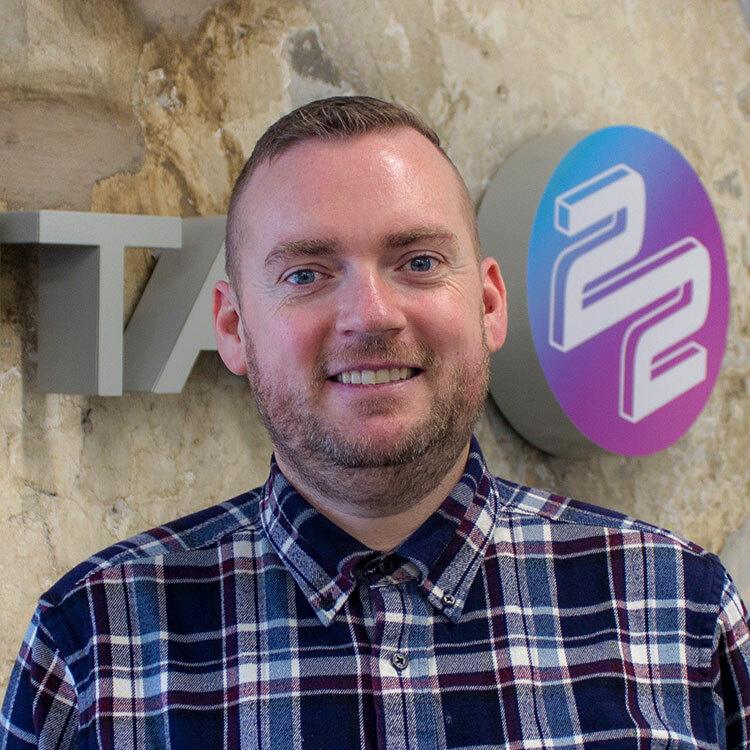 At Digital 22, his typical day involves creating designed solutions that work alongside the Inbound Marketing, Growth Driven Design and HubSpot COS teams. Interestingly, Joe has played guitar in a band for 12 years and has been lucky enough to tour Europe and America several times. He's obsessed with guitars and is well into the likes of Hendrix, Richard Thompson and Neil Young, but can be found secretly listening to a bit of Britney Spears too. A cool fact about Joe? His first job out of university was working for Storm Thorgerson, the graphic designer responsible for the massively famous Pink Floyd - Dark Side of the Moon album sleeve. 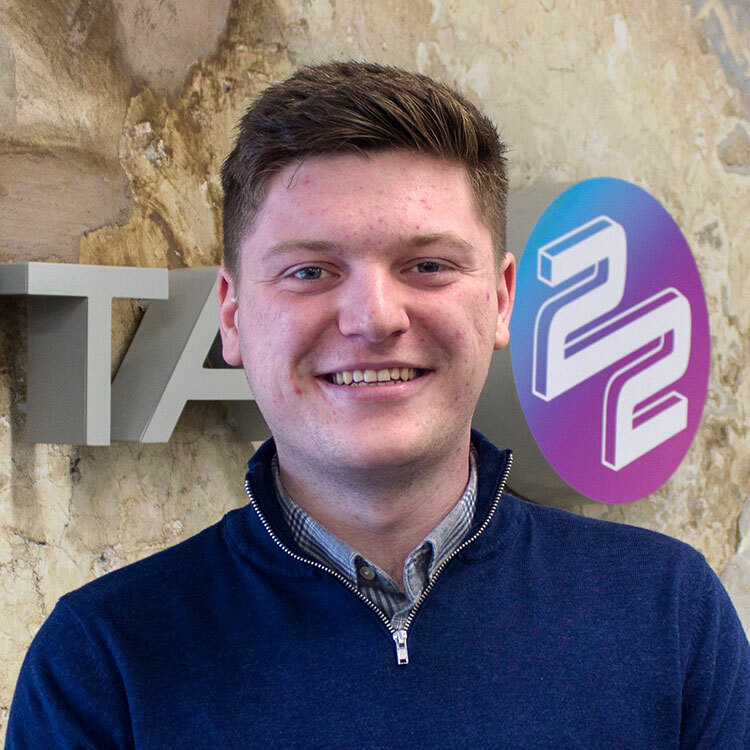 Ryan joined us last month and is the newest of our front end developers here at Digital 22, whose job it is to make our design team’s slick designs come to life. 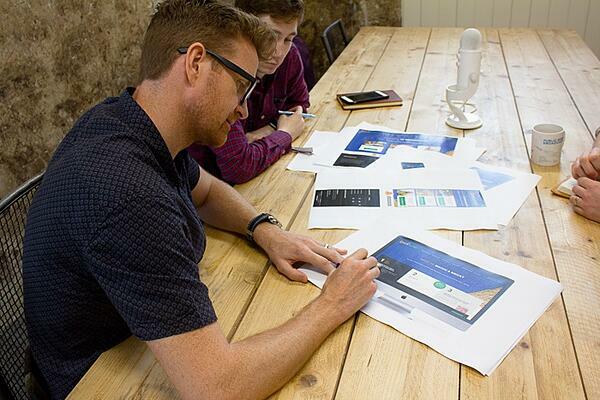 His role allows him to put his First Class Honours Degree in Interactive Media Development to good use. He has plenty of experience in big website builds and enjoys working so closely with the designers and fellow developers here in the office. Away from the office, Ryan enjoys playing football and is an avid Blackpool FC fan. Besides watching the Tangerines, he has a love of films and TV, especially all things FRIENDS. Could he BE a bigger fan? Inbound Manager, with a background in Social Media. Dale has broad industry experience having worked in Recruitment, Finance and the Built Environment. At work, you’ll find him managing inbound campaigns. This involves liaising with clients and planning their campaigns to achieve their desired results. On a personal level, he's a Londoner, who's living in Yorkshire, working in Lancashire. He says, "I spend a lot of time hearing I'm pronouncing things wrong." Dale and his wife love to travel, and this comes in handy as his parents live in Cyprus and his sisters live in Australia and Romania. An interesting fact about Dale is that he spent 9 years in boarding school and got to live in Hong Kong, Germany, Belgium and Cyprus (twice)! Melanie joined us in March and is our new HR Coordinator with a background in Recruitment. She graduated from Leeds University with a BA(Hons) in Psychology and Criminology. 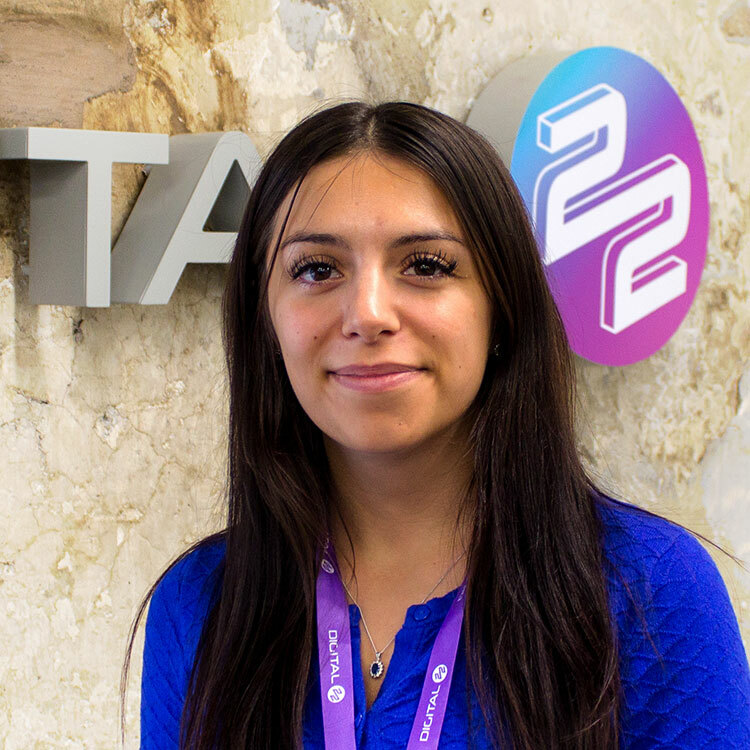 On a typical day at Digital 22, she provides support to the team, takes care of recruitment and acts as a point of contact for all people-related matters. Melanie ensures there is a great culture throughout the business. She is enthusiastic and is always looking for ways to develop and improve. Outside of work, she enjoys staying active, whether that’s going to the gym or skiing. She also likes spending time with family and friends, reading, learning French and binge watching her favourite shows. Melanie has a shameless obsession with Beyonce! 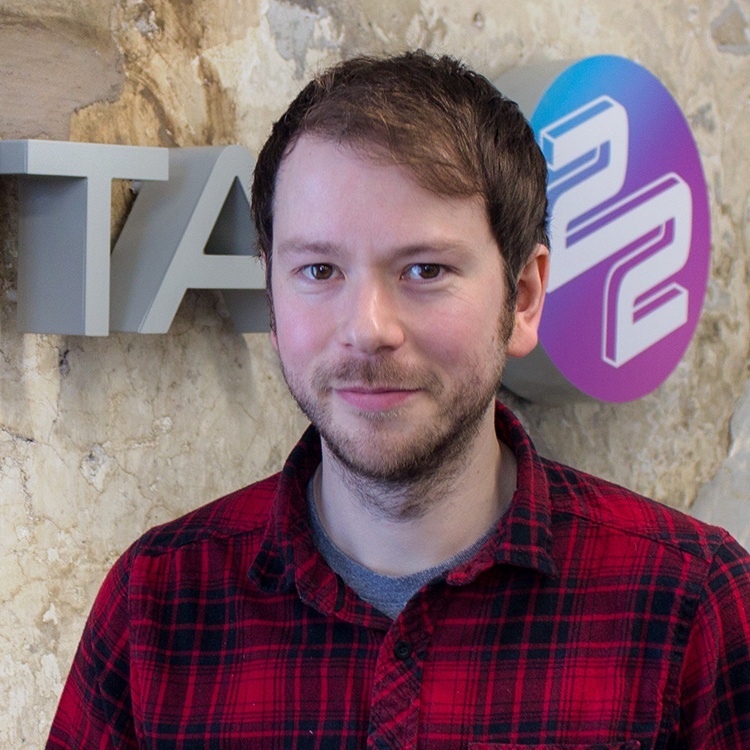 Matt is our latest recruit on our content team who has previously worked in digital marketing, with a background in writing for print and online journalism. He graduated from university with a BA(Hons) in Journalism. 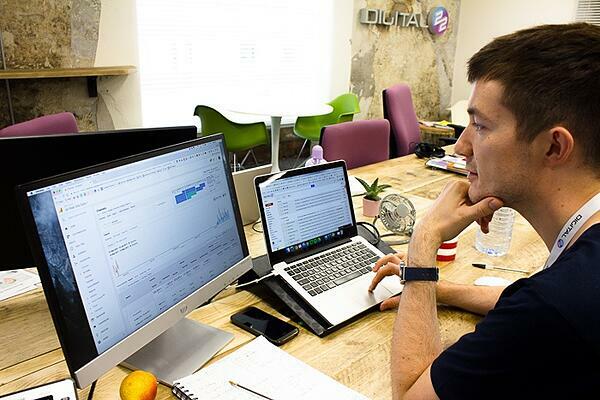 At work, he is a part of our close knit team who are dedicated to exploring your business and your industry, so that they can produce tailored content perfect for attracting the right customers. Outside the office, Matt is a big Burnley FC fan. However if there’s no match, you’ll find him playing cricket. He's massively into his music too (bit of an anorak if he's honest), and often attends gigs and festivals. 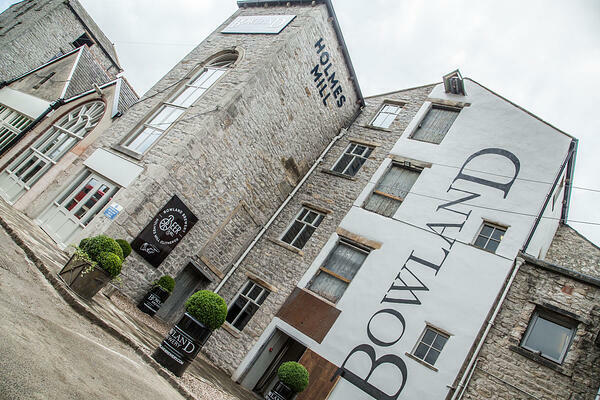 All the team is based at Holmes Mill, Clitheroe, in the Ribble Valley near Manchester. The Directors chose this building, which is a listed and renovated cotton mill, due to its size, location and first-class on-site facilities. 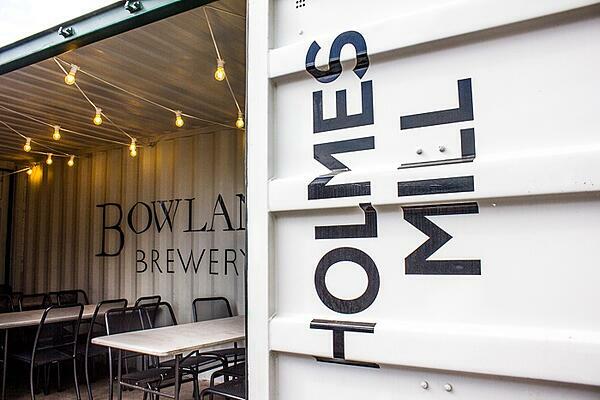 Beneath our office is a local produce deli and supermarket, the famous Bowland Brewery and bar (one of the longest bars in the UK), and various bars and cafes. These form a big part of our team building ethos, so all the new team members have already enjoyed making the most of the facilities. Outside eating and drinking area. Inside our main office floor. Mark and James inside one of our meeting rooms.